Our spacious rooms are ideal for couples, families and seniors who want to spend their holidays in one of the most beautiful places in Greece, Halkidiki. The rooms are functional and offer all the necessary comfort to even the most demanding guests. All have been decorated in order to offer a warm and relaxing atmosphere to make your stay enjoyable. 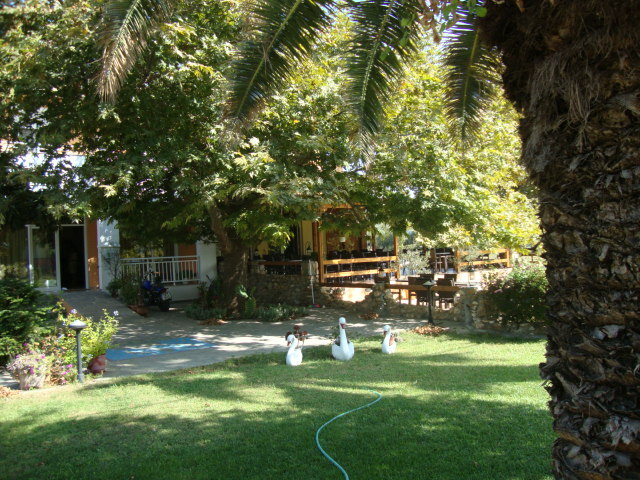 The hotel consists of 15 rooms fully furnished and equipped. You can choose according to the members of your family from rooms with four beds (1 double + 2 single) or three beds (1 double + 1 single). 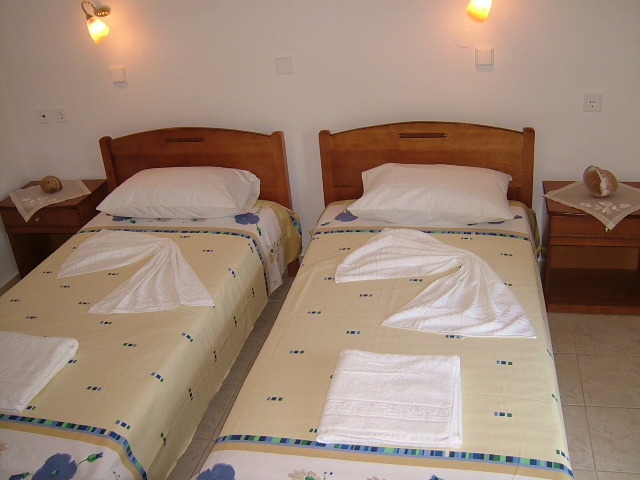 The double rooms have a choice between double bed or twin. All our rooms have a separate bathroom / WC, refrigerator, as well as a hair dryer and ironing board. They provide additional climate control, TV and high-speed internet. On your private balcony you can relax and enjoy the view of our garden.